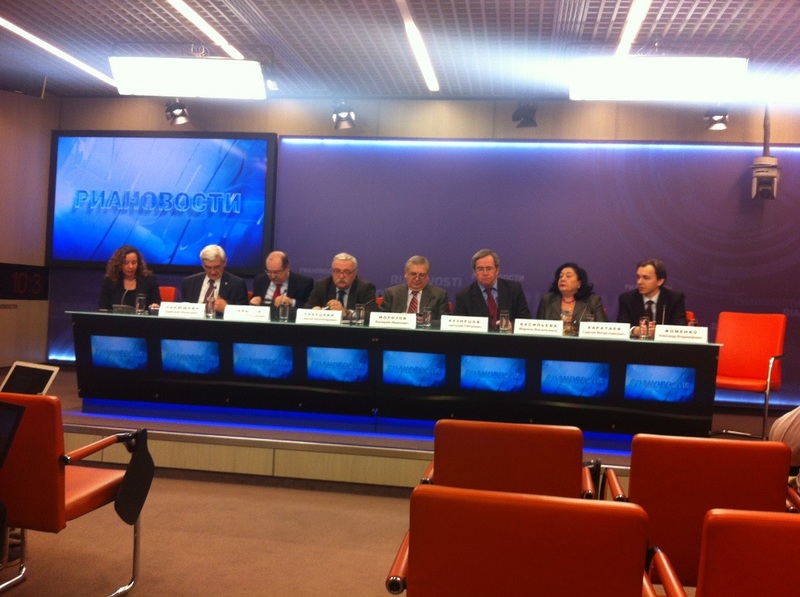 April 16, in the RIA Novosti building took place a "round table" dedicated to Venezuela. The new president of Venezuela Nicolas Maduro needs to seriously adjust the economic and social policies to improve the situation in the country, think experts who participated in the meeting. On the basis of past elections in Venezuela, the leader of the ruling forces Maduro was declared elected head of state. "New government must show wisdom and stop spending on socialization much of the economy, and has to make foreign policy more balanced," - said in the debate director of the Institute of Latin America of the Academy of Sciences of Russian Federation, corresponding member of the Russian Academy of Sciences, a member of the Editorial Board of the International Journal VIGIL Vladimir Davydov . In turn, the Chairman of the Editorial Board of the International Journal VIGIL, Extraordinary and Plenipotentiary Ambassador of the Russian Federation, Professor of MGIMO Anatoly Kuznetsov added that Maduro "has to implement new policies, including in the socio-economic sphere." The experts agreed that Maduro won the elections on a wave of people's love for the recently deceased president of Venezuela, Hugo Chavez. "One and a half percent, b which Maduro has beaten his opponent, the Venezuelan opposition leader Henrique Capriles was a weak victory," - said the chief editor of the International Journal VIGIL, Extraordinary and Plenipotentiary Ambassador of the Russian Federation (Russian ambassador in Venezuela in 1997-2000), Valery Morozov . "In fact, in the elections held in the country won Chavez, the people chose Maduro, fulfilling the will of the late president," - he said. Nicolas Maduro, the heir to Chavez, who promised to "Comandante" to win. According to the diplomat, the Venezuelan opposition has demonstrated its strength. "If the elections would have been held not now, but in the autumn, Maduro would have lost," - said the expert. The experts agreed that Venezuela is facing a difficult times. Speaking about the possible changes in the foreign policy of this Latin American country, experts do not exclude the possibility of changes in the relations between Venezuela and the United States. They also expressed the view that Cuba will try to maintain its influence in Venezuela, and the Russian-Venezuelan relations will maintain their ongoing development.